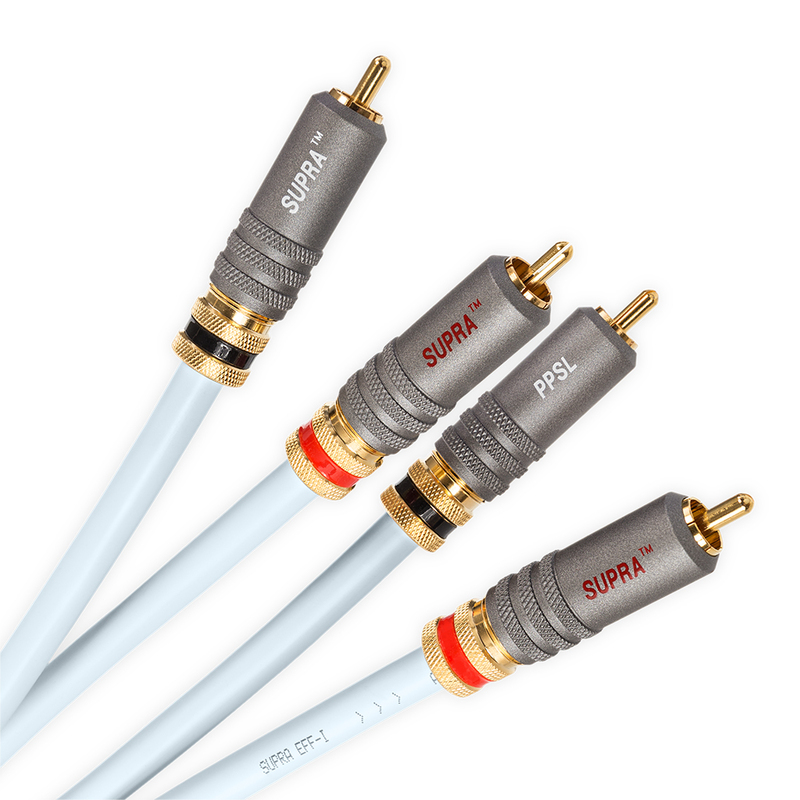 The above Supra EFF-I equipped with our best fully shielded single-end connectors Supra PPSL. The connector features chuck locking strain relief to the chassis female RCA, hence securing seemless connection and a chuck lock cable strain relief providing long service life also in applications with frequent reconnections. Suitable for use in every single-end application from entry to mid-end level, where dynamics, timing and faithful music reproduction is desired.